Well today’s the day. Over a year of evenings and weekends working away at our game has finally come to an end; Don’t Die, Mr. Robot! (or DDMR as all the cool kids are calling it) is being released this afternoon on the PSN Store. There’s been some reviews already! All of them really praising the gameplay. That’s the most important thing for us, that people have fun with it. We’ve taken all the knowledge and experience in our combined years making games to tightly hone that stuff down to the most fun arcadey, addictive experience possible. 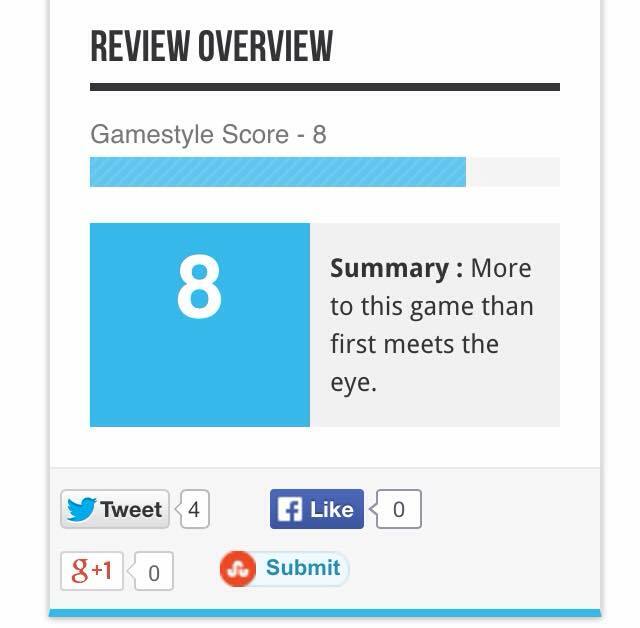 The overall score is sitting currently at about 7.5/10 which is cool. So what are you gonna get for your £4.49? Well, quite a lot of game. You’ll get a remix mode with 50 levels of mission based action. These start quite easy, almost as a tutorial to how to play the game. Soon however they become quite devious and demanding and proceed to bring some totally taxing action right into your skull. There’s Arcade Mode with two high score tables; Pure and Normal. As we’ve mentioned before, Pure mode is the real challenge. No power ups, no help, no nothing. Just you and the game. We’ve also set a 500,000 point high score on there as a little first goal for people to try and beat. Time Attack and Chill-Out are two very different modes, Time Attack is totally mental from the get go and only gets more hectic, but you can die as many times as you like. Chill-Out sounds relaxing but it really isn’t; the enemies move really slowly but that means it doesn’t take long for the screen to completely fill with baddies. Also, fruits are super rare. The Death Ray Manta: DRM fires lasers for a bit whenever he collects a fruit. This turns the game into a bit of an arena shooter. The original game ‘Death Ray Manta’ is out on Windows, Mac and iOS and a sequel is currently in development for PSVita. Dunjun Dude: Like the DRM, this guy from Forget-me-Not fires bullets when he collects a fruit, but he moves quite slowly. He has an invincible key which follows him from behind which is a great shield for protecting you from enemies. Super Forget-Me-Not is coming to PSVita sometime in the future and will be amazing. Jimmy Dodger: He’s tiny with a small hit box and really quick. He’s the eponymous star of proto DDMR ‘Jimmy Dodger‘ by an old friend of ours, Matthew Downie. All that’s left to say is a huge thank you to everyone who’s helped us make the game and promote it. All the people who believed we could make a fun game and all the people who never stopped encouraging us from the start right until the end. We are really, truly grateful for all the support our friends and family have been in testing, feedback, translating and encouraging us. Also a massive debt of gratitude is owed to Alice Barber who provided us with her amazing VO talents. You may recognise her voice from Llamasoft’s seminal TxK! And a special big thanks to our pal Mr. Nahkhman who wrote us his own take on The Blue Danube for chill-out mode and also produced one of the in-game tunes with us. (the one with the guitars). And finally a big hug and thanks to our pal G-Man who touched up our art, and to illustrator Kate Evans who created our splash screen illustration. It’s definitely a fun game, but one where screenshots and videos don’t do it justice. It has to be played to be fully appreciated. So an exciting day ahead. The store should update at around 4pm today for people to start buying it (hopefully). In the mean time, I guess we’ll just sit here biting our nails and hoping people will get to hear about it. That, and generally not reading comments on YouTube videos! Previous postBuy DDMR, Frutorious t-shirts at ISG Apparel!